Did you know that when restaurant and other food-service employees use the bathroom, they have to wash their hands in the bathroom and then again before they return to their duties? That’s right—a double hand washing! 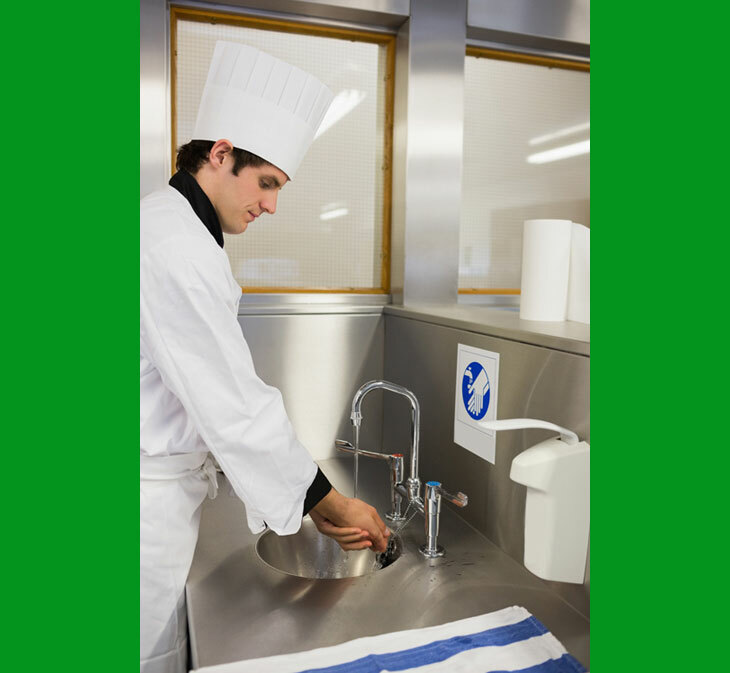 The FDA food code specifically states that double hand washing is necessary before workers go back to their duties. It’s a simple yet very effective tool in reducing the possibility of a foodborne illness occurring in a facility. Customer perception should be a concern. If an employee comes back from the restroom and continues to take food to tables, etc., without going back to the kitchen first to wash his/her hands again, how many customers might conclude that the worker didn’t wash his/her hands before handling food again? The easiest way to impress a health inspector is for the inspetor to witness many staff members washing hands periodically through an inspection.